With a stay at Hôtel de Berny in Antony, you'll be near the airport, and 9.9 mi (15.9 km) from Luxembourg Gardens and 9.9 mi (16 km) from Tour Montparnasse. 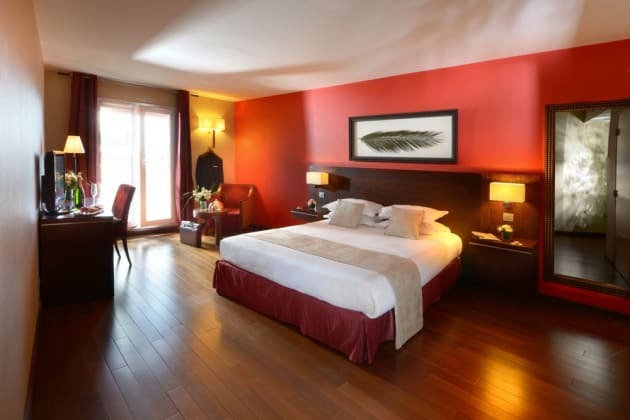 This 4-star hotel is 10.1 mi (16.2 km) from Paris Expo Porte de Versailles and 10.1 mi (16.2 km) from Sorbonne University. Make yourself at home in one of the 44 air-conditioned rooms featuring minibars and flat-screen televisions. Complimentary wireless Internet access keeps you connected, and satellite programming is available for your entertainment. Private bathrooms have complimentary toiletries and hair dryers. Conveniences include phones, as well as desks and coffee/tea makers.